Bangkok, March 3, 2015 – The SEC organized “1st SEC Working Papers Forum, 2015” where the Faculty of Commerce and Accountancy, Chulalongkorn University presented research papers on “Impacts of disclosure timing of M&A information and the quality of accounting information after IFRS adoption: the case studies of China and India”. The papers showed that quality of financial and non-financial information disclosed by listed companies affects investment decision and opportunity cost of investors. Dr. Vorapol Socatiyanurak, SEC Secretary-General said that 1st SEC Working Papers Forum 2015 is an event organized under the MoU with four leading business schools aiming to provide a platform for capital market research presentation and implementation in developing the capital market. The Faculty of Commerce and Accountancy, Chulalongkorn University, presented at the first forum of this year that investors stressed on information disclosure and expected disclosure quality which has been emphasized by the SEC as well. Preparation and disclosure of Form 56-1, although not necessarily be lengthy or extremely detailed, must contain adequate and accurate information in materiality and be made in a timely manner to allow investors to learn of investment risks. Asst. 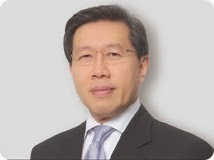 Prof. Dr. Manapol Ekkayokkaya, researcher, Faculty of Commerce and Accountancy, Chulalongkorn University said that the study on “Quality of Investment Decisions and Disclosure Timing” showed that listed firms have used mergers and acquisitions for business expansion. 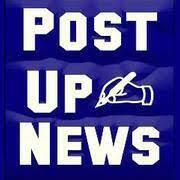 Therefore, disclosure and quality of information is very important for the shareholders. The study on behaviors of the listed companies in the U.K. in making M&A decisions public, which is non-financial information, showed that the companies were cautious about disclosing non-financial information and delayed disclosure of the said information as long as possible. On the contrary, the previous research found that, for financial statement disclosure, the companies usually rushed into disclosing financial statements that showed profit and delayed disclosing bad news. In addition, the study found that if non-financial information or M&A decisions were revealed too early, share prices would not increase as much as expected. This reflected information leakage costs such as rumor, more intensified competition, losing advantage of the first buyer or failure of M&A. Asst. Prof. Dr. Thanyaluk Vichitsarawong, researcher, Faculty of Commerce and Accountancy, Chulalongkorn University said that the study on “Usefulness of Accounting Estimates: A Tale of Two Countries (China and India)” examined the quality and benefits of accounting figures of the companies in China and India after the adoption of the International Financial Reporting Standards or IFRS. In cases of Indian companies, after IFRS adoption, the accounting figures supported more accurate profit and cash flow forecasts as well as more useful for predicting positive future stock returns. In case of China, the study found no relationship between accounting system and forecast of investment returns. This might reflect Indian’s stronger accounting system, enforcement and investor protection. Note: The research paper was presented under the Memorandum of Understanding between the SEC and Chulalongkorn University, Thammasat University, Kasetsart University and National Institute of Development Administration, the leading business schools, aiming to publicize researches and exchange of knowledge and experience between academics and capital market industry. 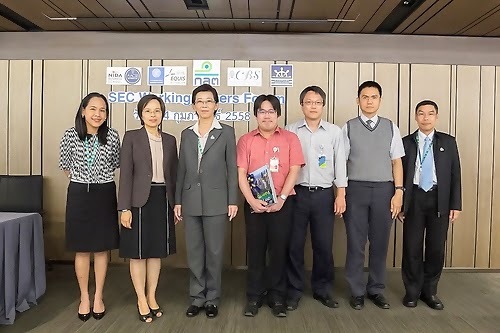 Bangkok, February 26, 2015 – Mrs. Duangmon Chuengsatiansup (3rd from left) ,the SEC Assistant Secretary-General, co-organized the research presentation seminars “1st SEC Working Papers Forum, 2015” where the Faculty of Commerce and Accountancy, Chulalongkorn University presented research papers on “Impacts of disclosure timing of M&A information and the quality of accounting information after IFRS adoption: the case studies of China and India” on February 24, 2015 at the SEC Office. The papers showed that quality of financial and non-financial information disclosed by listed companies affects investment decision and opportunity cost of investors.